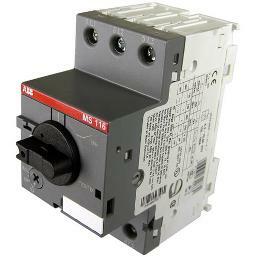 ABB MS Manual Motor Starters are electromechanical devices for motor and circuit protection. 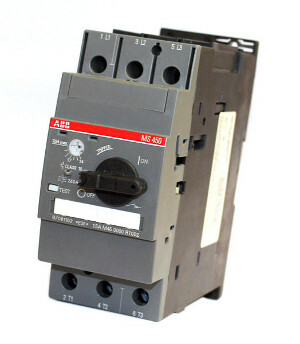 These devices offer local motor disconnect means, manual ON/OFF control, and protection against short circuit, overload, and phase loss conditions. 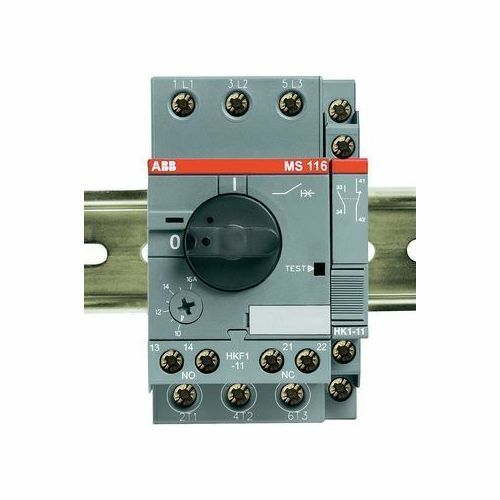 By using ABB manual motor starters you'll save cost, save on panel space, and reliable short-circuit protection with millisecond response times. Close coupling adapters are available to combine the motor starter with ABB contactors in various applications. If you have any questions or would like a quote on an ABB MS Series Manual Motor Starter please contact us and we'll be happy to help! 12 Setting ranges from 0.1 to 16 amps. 12 Setting ranges from 0.1 to 25 amps. 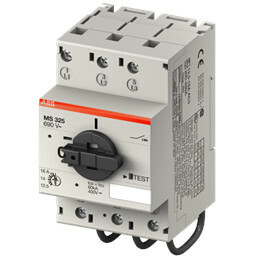 ABB manual motor starters provide overload protection as required by Article 430 of the National Electrical Code. Control is provided by manual operation of the contacts; overload protection is provided by an adjustable bi-metallic trip mechanism.